Glastonbury Coral Reef - A New Find! - Happy Glastonbury! An exciting find around the wetlands of Glastonbury turned up some interesting pieces of stone. On closer inspection after cutting and later polishing it was discovered that the fossilised gemstone was part of an ancient coral reef. Around one hundred and seventy million years ago the region which we now call the Mendips, was much warmer then today and part of a shallow tropical sea that stretched westwards into Pembrokeshire. These rich warm waters were home to our very own tropical coral reef. This lucky find has given us some beautiful pieces of local coral to work with and it is always an amazing experience to work with crystals and minerals from sacred locations. 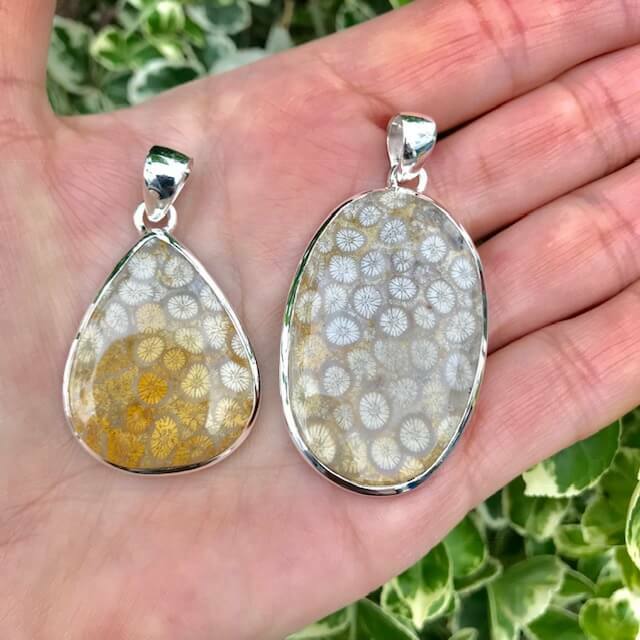 Glastonbury is known as the heart chakra of the world and fossilised coral from around Glastonbury will have an amazing memory and energy to work with. 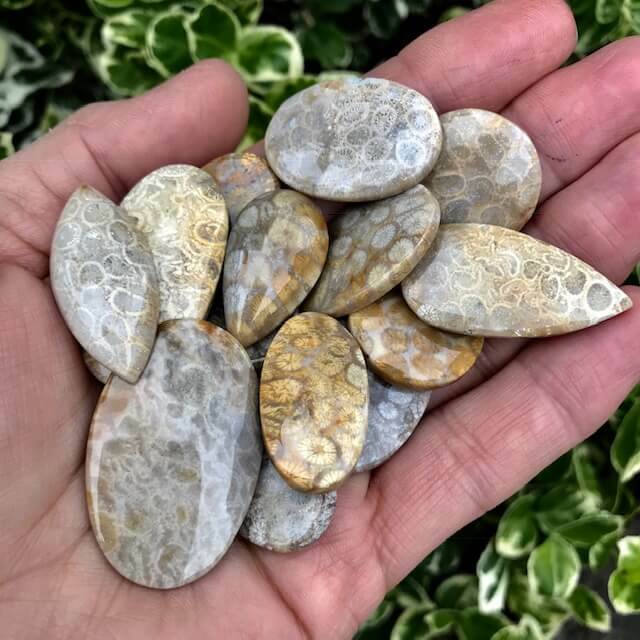 We are expecting Glastonbury Fossilised Coral to have a similar energy to Spiny Oyster Shell and other Corals from around the world. We will be looking to work with it on emotional sensitivities, psychic development, to be attentive to energy shifts and alert one to danger. Red Coral is believed to absorb negative emotional energy and then like the tides of the sea of its birth clear, cleanse and wash it away. It transforms negatives to positives. It encourages self-love, passion and creativity. Place a piece of Coral on your altar next to your altar candles to act as protection and alert you to danger of negative energies. Keep a piece of Coral on you to hold when feeling emotional stress and tension to calm you. Coral can aid tears to fall to clear stagnant energies or pent up grief. It can break up blockages of negativity in one’s aura allowing one to move on from the past. To view all our Glastonbury Coral items available, click here now!